The Community’s Working Groups met at the CoD’s Secretariat to discuss upcoming activities. 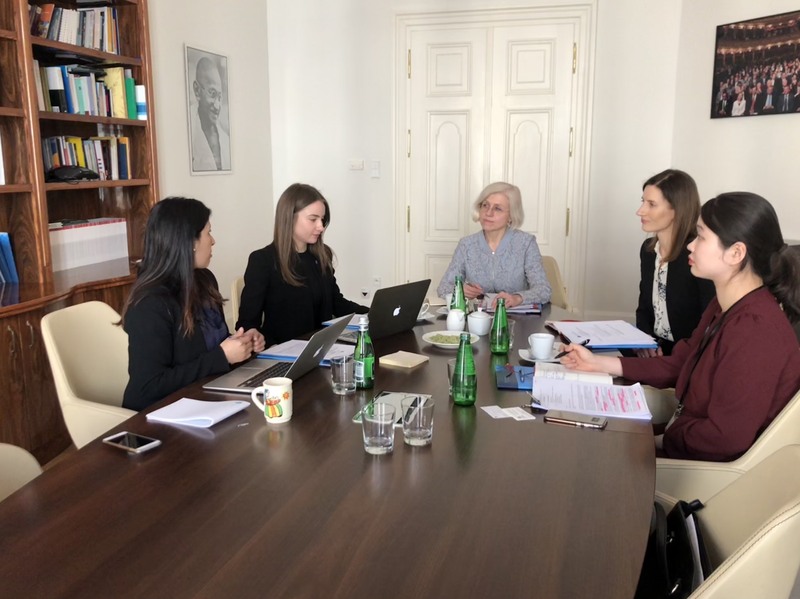 On March 27th, the CoD’s Working Group on Women and Democracy, chaired by Lithuania, met at the Permanent Secretariat of the Community of Democracies (PSCD) to discuss the upcoming activities of the Group, including events to promote women’s political participation. The meeting was chaired by Ms. Audra Čiapienė, Minister Counselor at the Lithuanian Ministry of Foreign Affairs. The Working Group on Women and Democracy, serves as a platform to discuss and foster women’s political participation, representation and leadership. Members of the Working Group include: El Salvador, Finland, Japan, Lithuania, and Uruguay. On March 29th, the PSCD also hosted a teleconference session of the Working Group on the CoD’s Governance and Effectiveness, which discusses and makes recommendations on the issues related to the effectiveness and structure of the CoD, and contributes to the development of its rules and policies. The Group welcomed Argentina as its new Chair and the Republic of Korea as a new member. Other members include: Poland, India, Romania, UK, US, and representatives of civil society.